Jimmy Savile exploited weak safeguards at Leeds General Infirmary (LGI) to abuse patients and staff over a 47-year period, a report has found. Savile also abused at least five individuals at high-security Broadmoor hospital. Abuse victims are still frightened of speaking out against powerful people, Jeremy Hunt has warned after the shocking findings of the Jimmy Savile investigation. The Health Secretary, said there had been major changes in recent decades but "we haven't come the whole way." A series of chilling reports into the activities of Savile found he had subjected patients in hospitals to "sickening" sexual abuse. Mr Hunt apologised on behalf of the Government and NHS to Savile's victim when the findings at 28 hospitals were published on Thursday. "I think we are kidding ourselves if we think there aren't people even today who are frightened of speaking out in those situations and whilst, of course we always look at the law, we also have to look at the culture and being better at supporting people who do want to speak out." Jimmy Savile's victims also include parents, friends and health professionals traumatised by guilt a charity has said. 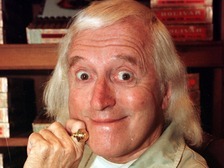 A West Yorkshire police officer who knew Jimmy Savile has won £60,000 libel damages over claims that he was a pervert. The trust which runs Leeds General Infirmary where Jimmy Savile carried out years of abuse says the report is "profoundly shocking".